Amidst the rumors that the Government of Belize (GOB) has maxed its 2017/2018 fiscal year budget, resulting in the shortage of fuel to the country due to unpaid arrears and a dire cash flow position threatening public workers’ salaries, two press releases were issued on Sunday, February 25th explaining the questionable situation. In the official statements, GOB stated that the shortages of fuel to the country have nothing to do with the inability to pay and that the country’s cash flow is under control. According to sources, a tanker positioned in front of Belize City loaded with almost half a million gallons of diesel and around 300,000 gallons of jet fuel is yet to be unloaded due to GOB not paying its bills. In their official note on Sunday, GOB declared that the temporary delay in the replenishment of fuel is not attributed to the government’s inability to pay. The press release claims that the delay is solely due to unanticipated difficulties encountered with the Venezuelan state-owned oil and natural gas company, Petroleos de Venezuela, Sociedad Anonima, and not by Belize’s fuel distributors or the government itself. “All government’s bills have and are expected to remain, up to date,” the release pointed out. The Ministry of Finance also added in the release that fuel distributors in Belize have made alternate arrangements to bring diesel fuel from other sources to supply the gas stations. Many consumers fear that this might raise the cost of fuel as it happened last year when suppliers had to obtain the product from elsewhere. It is expected that a shortage in the fuel can bring heavy economic consequences to the country, as every business depends on it, particularly the aviation industry. The GOB maintains an optimistic and defensive posture indicating that the stock of diesel will return to normal no later than the middle of the week with the shipment from Venezuela offloaded in the next days. They also assured that there is diesel available at stations nationwide. Additionally, a second release addressed a leaked memo from Financial Secretary, Joseph Waight that GOB does not have the funds to meet their payroll for the remaining two weeks before the new budget is presented. In the memo, Waight states, “If we continue on this path we will certainly crash. I am appealing to all to instruct your finance officers to just stop trolling through their books to find unspent funds. The money is simply not there.” However, GOB clams they have the funds to pay salaries. The release claimed that the annual budget is achieving its broad goals and allowing obligations to be satisfied in a timely manner, including payroll. The release further notes that GOB is in no urgency to access any financing outside of the budgeted and approved sources. According to GOB, there are no issues in the cash flow and that the statements made by Waight were misinterpreted, suggesting that the government is out of funds, which according to them is not the case. GOB explains that Waight’s statement was the standard financial year-end instructions given to accounting officers to restrain overspending and encourage senior public officers to remain diligent in the pursuit of budgetary objectives. However, many Belizeans across the country are not being comforted by the government’s explanation and are on the lookout for a worst-case scenario. 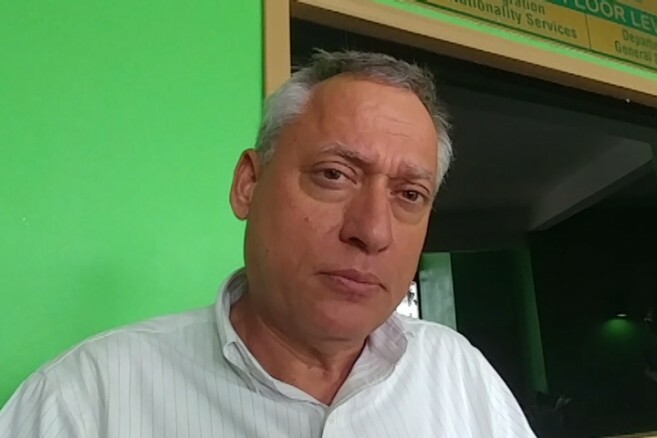 In Ambergris Caye many islanders believe that the country’s economy is in a terrible situation and that Belizeans need to pay attention to the events before and after the presentation of the budget for the new fiscal year. In his note, Waight further said that government will likely have to issue more Treasury Notes to meet the early end-of-year payday next month. He also warned that the country’s debt is already at a 100% of the Gross Domestic Product (GDP) and rising. Waight also shared with the media that the upcoming budget will be a billion dollar one. The Leader of the Opposition, Honourable John Briceño expressed his dismay about the situation and what the future could bring. “What is going to happen next month, I don’t know,” he said. 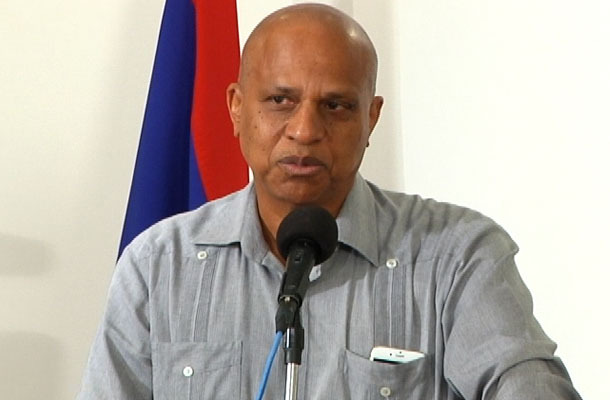 “The Government is very skillful in how they lie because even though a part of it is true, I have never seen a memo that will alert government officials in different ministries of government telling them that they cannot continue spending money because there is no money.” Briceño pointed out that in other times accounts are frozen to avoid spending. He is also worried that given that the national debt is allegedly extremely high, the government may now have to print treasury bills to meet their commitments in March, something that according to him is a worrisome problem. Although the new budget is traditionally presented to the House of Representatives on the first Friday of March, this year Dean Barrow has scheduled his 2018/2019 budget speech for Friday, March 9th, two days after the 2018 Municipal Elections.